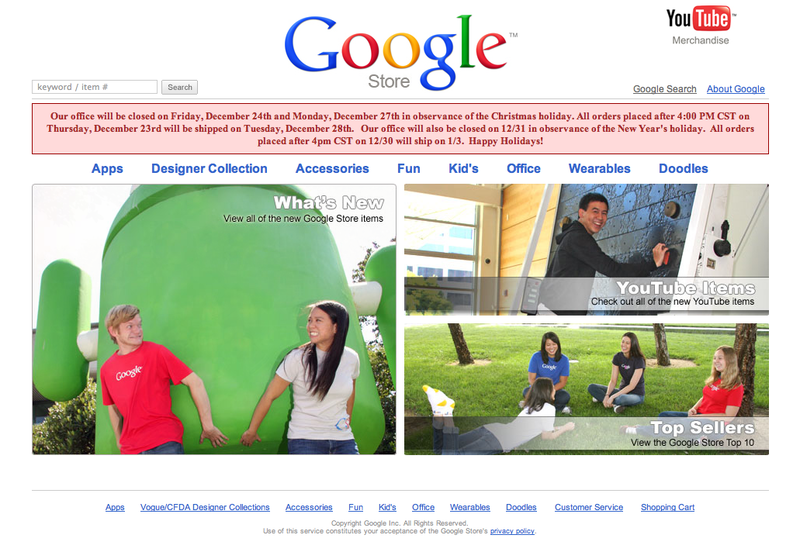 I saw my first ad for Google’s Store in my Gmail account today. I wasn’t aware Google had an online store let alone that they actively promoted it. This entry was posted on January 2, 2011 at 8:19 pm and is filed under GoogleStore.com. You can follow any responses to this entry through the RSS 2.0 feed. You can leave a response, or trackback from your own site.